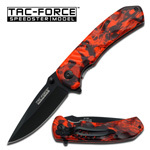 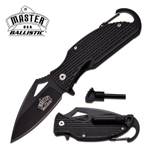 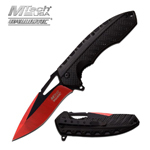 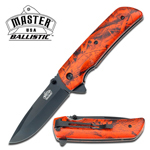 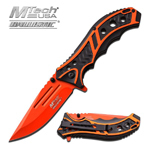 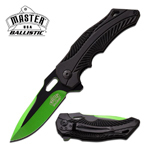 MTech USA Ballistic Red & Black Finish Blade Spring Assist Assisted Knife. 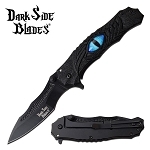 4.75" closed in length with 3.5" 2.8mm thick blade, stainless steel. 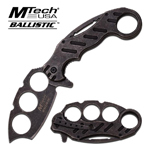 Mtech Ballistic Purple Blade Assisted Opening Folding Knife. 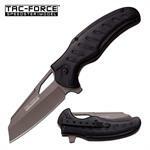 4.75" closed with 3.5" 2.8mm thick blade, stainless steel. 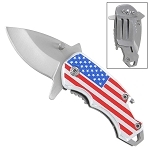 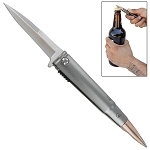 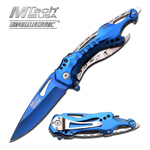 MTech USA MTech USA Spring Assisted Blue Pocket Screwdriver Can Opener Knife. 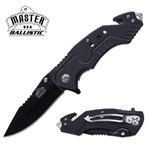 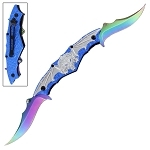 4.5" closed in length with 3.55" 3mm thick blade, stainless steel. 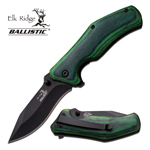 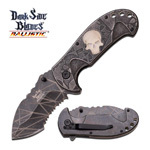 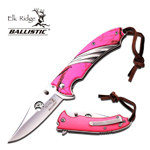 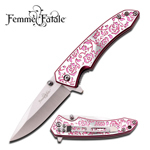 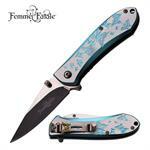 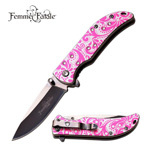 Elk Ridge Ballistic Pink Camo Aluminum Handle Spring Assist Knife. 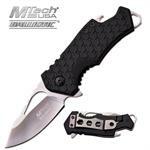 4.5" closed in length with 3.5" 3mm thick blade, stainless steel. 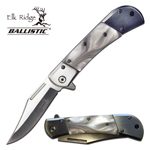 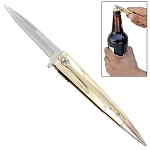 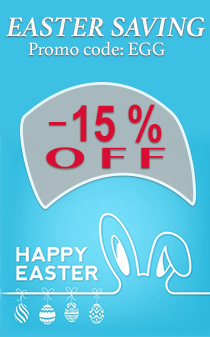 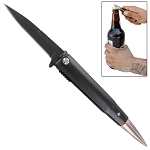 Spring Assisted Wood Handle Pocket Knife For Well Equipped Woodsman.